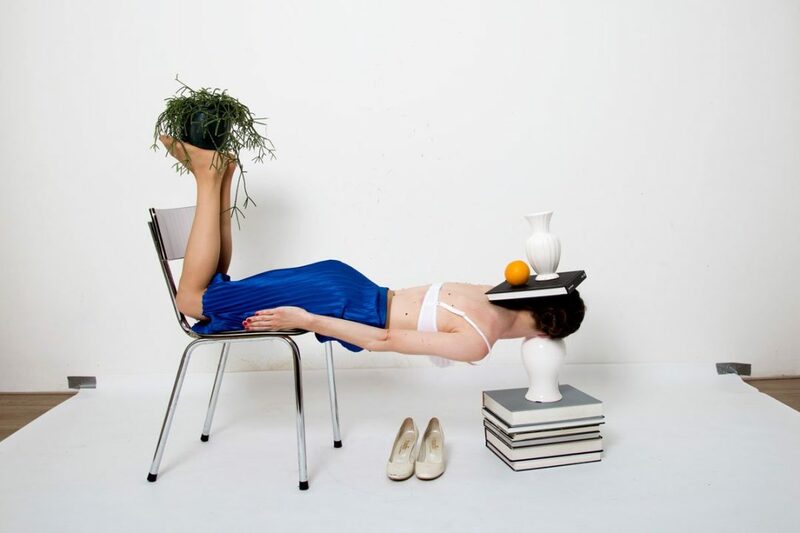 A half-clad woman in a sterile office environment lies between a chair and a vase, face down, her limbs acting as props for plants and books and a vase. Enough said. From Csilla Klenyanski’s Reminiscence of Being a Woman series. Via Tina Rothenberg.